There are a lot of home heating options available these days. Sometimes, though, there is a reason that one method sticks around despite all of the newer innovations. Boilers have long been one of the most popular home heating methods, and they have only gotten more efficient and effective. If you are building a new home and shopping around for a heating system or are ready for a replacement system a boiler is well worth your consideration. For all your boiler installation and replacement services in Hagerstown and Frederick, MD, call the boiler experts at Larry & Sons. A boiler is essentially just a large tank filled with water. A separate burner unit heats the water within this tank to create hot water or steam. The burner uses electricity, natural gas or oil as a fuel source. Once it has heated the water within the boiler, the steam or hot water is circulated throughout your home via a piping system. There are a few different ways in which the heat created is dispersed throughout your home, such as steam radiators or baseboards that line the floor. Either way, the result is the same; a warm, cozy house that is consistently comfortable on even the coldest nights of the year. If you are interested in learning more about how a boiler operates to heat your home in Hagerstown, call Larry & Sons for more information. A boiler system installation is a big job, and it must be completed by a professional heating technician such as those on the Larry & Sons team. Contact us today for help making all of the necessary decisions prior to your boiler installation. You will have to decide which type of fuel source your boiler will use to heat your Hagerstown home, and this is contingent on fuel availability in your area as well as existing hookups in your house. Your boiler must also be properly sized before installation to ensure an efficient, effective performance. If your boiler is too small it faces excess wear and tear as it tries to reach unattainable target temperatures. If it too large, your home will heat too quickly and your burner will short cycle, putting it at increased risk for damages. Once all the necessary decisions have been made, our team will carry out your boiler installation service with the professionalism and expertise we are known for. With a proper installation and high quality maintenance service you should get decades of great service from your boiler system. Eventually, though, a replacement boiler will be a better option than continued service. If your boiler is old and frequently breaks down, develops leaks or costs more and more to heat your home it may be time to schedule boiler replacement service. 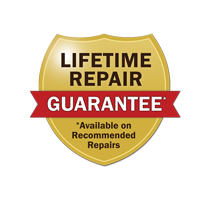 Larry & Sons can help you find the perfect replacement boiler for your Hagerstown, MD home when this time comes. Whether you need your first boiler installation service or are finally due for a replacement, Larry & Sons has the services you need. Don’t trust your comfort to just anyone. Schedule your boiler installation and replacement services throughout the Hagerstown and Frederick, MD areas with the local experts at Larry & Sons. We offer plumbing, heating and air conditioning services throughout the tri–state area of Maryland, West Virginia and Pennsylvania.